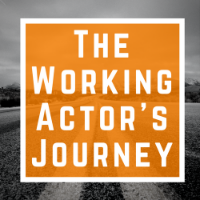 Want to hear how working actors work? Check these sections out! Geoffrey Wade from Ep. #5 talks text work on performing The Player from Tom Stoppard's Rosencrantz and Guildenstern are Dead. Geoffrey played this part at Weston Playhouse in Vermont and he even shares some of his script notes from rehearsals. Click here for full show notes and links. See additional content on Facebook, Twitter, and Instagram. Geoffrey’s monologue from Rosencrantz and Guildenstern are Dead by Tom Stoppard THE PLAYER: We’re actors…. We pledged our identities, secure in the conventions of our trade, that someone would be watching. And then, gradually, no one was. We were caught, high and dry. It was not until the murderer’s long soliloquy that we were able to look around; frozen as we were in profile, our eyes searched you out, first confidently, then hesitantly, then desperately as each patch of turf, each log, each exposed corner in every direction proved uninhabited, and all the while the murderous King addressed the horizon with his dreary interminable guilt…. Out heads began to move, wary as lizards, the corpse of unsullied Rosalinda peeped through his fingers, and the King faltered. Even then, habit and a stubborn trust that our audience spied upon us from behind the nearest bush, forced our bodies to blunder on long after they had emptied of meaning, until like runaway carts they dragged to a halt. No one came forward. No one shouted at us. The silence was unbreakable, it imposed itself on us; it was obscene. We took off our crowns and swords and cloths of gold and moved silent on the road to Elsinore. Peter Van Norden from Ep. #7 talks text work on performing platitudes and pauses in Harold Pinter's The Hothouse. As he was in rehearsals when we spoke, you'll hear how Peter is still figuring things out, still asking questions, and not really sure exactly where he'll ultimately arrive with this piece, and we're along for that journey. Click here for full show notes and links. Get your copy of "12 Top Acting Tips from Season One" See additional content on Facebook, Twitter, and Instagram. Peter's monologue from The Hothouse by Harold Pinter ROOTE Patients, staff and understaff. A very merry Christmas to you all, and a happy and prosperous new year. And on behalf of all the staff I'd like to wish all the understaff the very best luck for the year to come and a very happy Christmas. And to the patients I should like to send a personal greeting, to each and every one of them, wishing them the heartiest compliments of the season, and very best wishes, on behalf of the staff, the understaff and myself, not forgetting the Ministry, which I know would be glad to be associated with these words, for a healthy, happy and prosperous new year. /Pause/ We have had our little difficulties, in the year that is about to die, our little troubles, our little sorrows as well as our little joys, but through working together, through each and every one of us pulling his weight, no matter how lowly or apparently trivial his job, by working, by living, by pulling together as one great family, we stand undaunted. /Pause/ We say goodbye to the old year very soon now, and hail the new, but I say to you, as we stand before these embers, that we carry with us from the old year...things...which will stand us in good stead in the new, and we are not undaunted. /Pause/ Some of you, sitting at your loudspeakers tonight, may sometimes find yourselves wondering whether the little daily hardships, the little daily disappointments, the trials and tribulations which seem continually to dog you are, in the end, worth it. To you I would say one simple thing. Have faith. /Pause/ Yes, I think if I were asked to convey to you a special message this Christmas it would be that: Have faith. /Pause/ Remember that you are not alone, that we here, for example, in this our home, are inextricably related, one to another, the staff to the understaff, the understaff to the patients, the patients to the staff. Remember this, as you sit by your fires, with your families, who have come from near and from far, to share this day with you, and may you be content. Nike Doukas from Ep. #6 talks text work on performing contemporary iambic pentameter and verse from Mike Bartlett's King Charles III. You'll hear that Nike brings the same tools that she would to any verse text, classical or modern. There are some wonderful insights she brings to the language of this piece and what you need to be thinking about. Click here for full show notes and links. Get your copy of "12 Top Acting Tips from Season One" See additional content on Facebook, Twitter, and Instagram. Nike’s monologue from King Charles III by Mike Bartlett TV PRODUCER This may seem strange, but sometimes I wake up From nightmares where I have been on TV And something’s happened, just by chance, perhaps A light has blown, or chair collapsed, but I Am shocked, and jumping look ridiculous. And then that clip goes viral and from then Forever more, I am the girl who jumped It is the matter of my life, and when I die it will be what is writ, not all I did, and wanted, and achieved, but that: A captured idiocy stuck on repeat. /Enter Charles/ Your Majesty. Welcome. Here’s the microphone Into which you’ll speak, the autocue is there. Francis Guinan from Ep. #14 talks text work in Jessica Dickey's The Rembrandt, which premiered at Steppenwolf Theatre in Chicago in 2017 with Francis in the cast, alongside John Mahoney, who many people know as the dad on Frasier (one of my personal favorites), but who was also a longtime Steppenwolf ensemble member. You'll hear how Francis found his way through the text, and the deeper connections between art and the relationship his character has with John's. I was lucky enough to see this production at Steppenwolf and John passed away not long after The Rembrandt closed. It's a great session and a wonderful insight into how an actor works. Click here for full show notes and links. Get your copy of "12 Top Acting Tips from Season One" See additional content on Facebook, Twitter, Instagram, and YouTube. Francis’ monologue from The Rembrandt HENRY I touched it. It was… surprisingly– spiky. The paint. Slashes of ochre and black and white and red. I suddenly thought– Art is such a slight thing. It’s a trick. The closer you get, it recedes, like a shadow. It lives, it glows, and then you touch it and it’s not really there. Or it’s ALL there—Rembrandt. Homer. I touched it all… Well, specifically three of us touched it—myself, this girl Madeline and Dodger. We counted to three, and we touched it. [minor dialogue omitted] I remember my Dad reading in the paper that this Rembrandt had been purchase for 2.3 million– and this was 1961 mind you!–and he turned to me, I was all of FIVE, and he said (ala gruff dad) “Come on Hank, we’re going to see what the hell is worth 2.3 million.” And he dragged me to the exhibit. We stood in front of it, his brow furrowed, the callouses on his hand… There was something about the way he stood there—staring—as if he felt separate—as if it was some Great Thing that would always be just beyond his reach… I never asked him what the thought of it, the painting. If he liked it. If it pleased him. (I’d like to thing it did—that somehow he was—touched by it.) I regret that actually. Terribly. It’s just a slight thing—canvas, paint—and yet it contains—what? Wordls. Truths. I stood there today, and I thought, There is only one of this– in all of time. I touched that fragility and my heard just… [to Simon, sleeping] My love? Are you there? I want you to know. You’ve been a wonderful partner. You have. I have failed you so terribly. So terribly. But I am here now. I’m here.